Some think it's about making work paperless. For some workers in the UK, digital transformation is still a complete mystery, new research has found. One of the main arguments for digital transformation revolves around data silos, and how organisations are losing a lot by not joining data from various sources into a single pool. 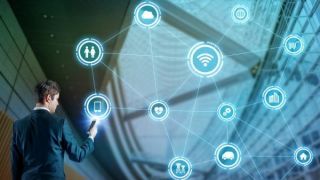 This report partially confirms that theory, saying that 42 per cent of employees believe their businesses do not integrate data and processes across departments all too well. The report also tackles artificial intelligence in business, saying it has gotten mixed reactions. The bulk of the respondents (34 per cent) perceive AI in a negative light, while 21 per cent see it as positive. Thirty per cent are ‘in between’.